Since moving from Colorado in 1982, the New Jersey Devils have won three Stanley Cup titles in 32 seasons. During said time frame, the Devils have iced the likes of Martin Brodeur, Scott Stevens, Scott Niedermayer, Patrik Elias, Ken Daneyko, John MacLean, Kirk Muller, Scott Gomez, Bobby Holik, Zach Parise, Bruce Driver, Pat Verbeek, Petr Sykora, Sergei Brylin, Randy McKay, Brian Gionta, Jason Arnott, Colin White, Brian Rafalski, Chris Terreri, Sean Burke and Glenn “Chico” Resch. A member of the Hockey Hall of Fame, Scott Niedermayer was a smooth skating blueliner. Niedermayer is the lone Devils’ defenseman to win the James Norris Memorial Trophy. Folks in the Garden State remember his coast-to-coast goal against the Detroit Red Wings in the 1995 Stanley Cup Final. Speaking of which, Niedermayer won three Stanley Cup titles with New Jersey, leading all scorers with 16 assists and 18 points during the 2002-03 postseason. A three-time All-Star with the Devils, Niedermayer ranks sixth in franchise history in games (892), second with 364 helpers, fourth with 476 points, second in plus/minus (172) and tied for fifth with 51 power play tallies. A two-time Stanley Cup champion, Patrik Elias is the Devils club leader in virtually every offensive category. Elias helped break the mold, excelling as a top-line forward within a defensive minded, team first system. Elias was a team first guy as well. 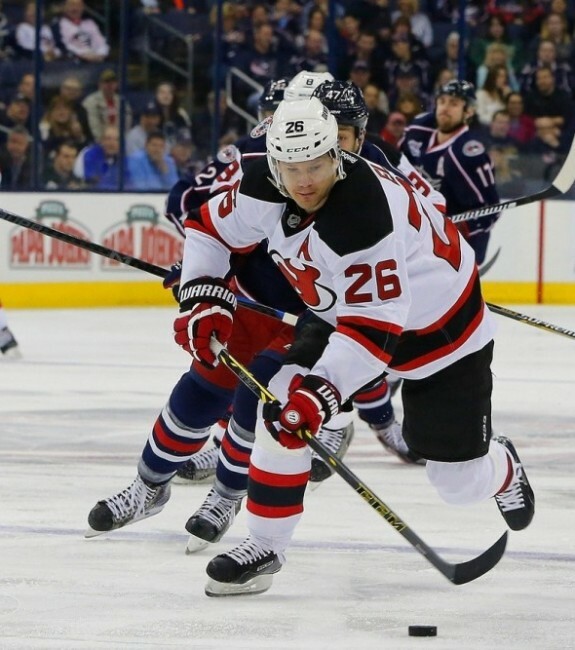 Whether the “A-Line” or the “EGG-Line,” Elias was at the forefront of the Devils’ attack during the glory years. A four-time All-Star, Elias has one 40-goal season and four seasons of 30-plus tallies. During postseason play, Elias has 45 markers, 80 helpers and 125 points. In the 1999-00 Stanley Cup Final, Elias assisted on Jason Arnott’s Game Six, series clinching goal against the Dallas Stars. 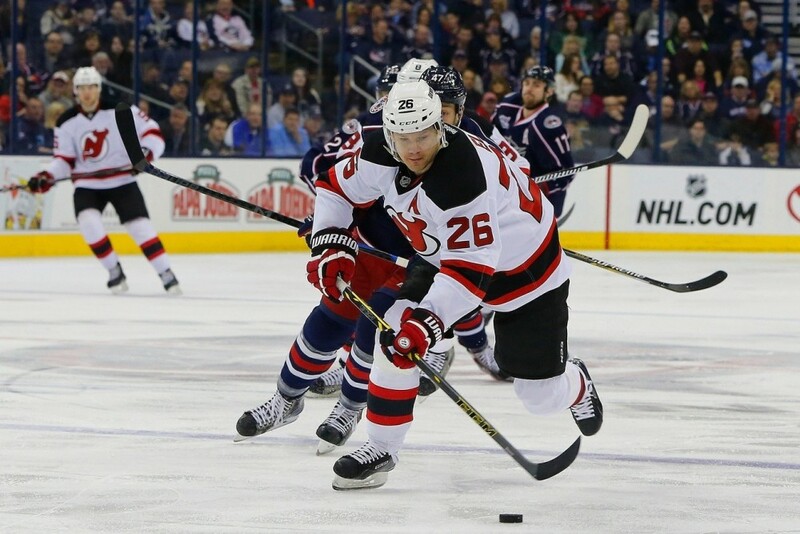 In Devils franchise history, Elias is third in games (1,224), first in goals (406), assists (611), points (1,017), even strength goals (277), power play goals (113), game winning goals (80), hat tricks (8) and second in short-handed goals (16). Scott Stevens was a true tenacious tone setter with the Devils. Stevens could intimidate, hit, chirp and back it up. A member of the Hockey Hall of Fame, Stevens captained New Jersey to three Stanley Cup titles. A ten-time All-Star, Stevens was awarded the Conn Smythe Trophy in 1999-00. During the 1993-94 campaign, Stevens led the NHL with a plus 53 rating and topped all New Jersey scorers, recording 60 helpers and 78 points. In Devils franchise history, Stevens ranks fourth in games (956), fifth in assists (337), eighth in points (430), first in plus/minus (282) and fourth in penalty minutes (1,007). Everyone has their own style and preference, but look at the record books and Martin Brodeur is at, or near, the top of virtually every goaltending record. In an era when goalies went butterfly, Brodeur played to a style and form of his own and it worked. Yes, Brodeur played behind some epic defensive units but he was a workhorse and helped take the Devils to the next level. 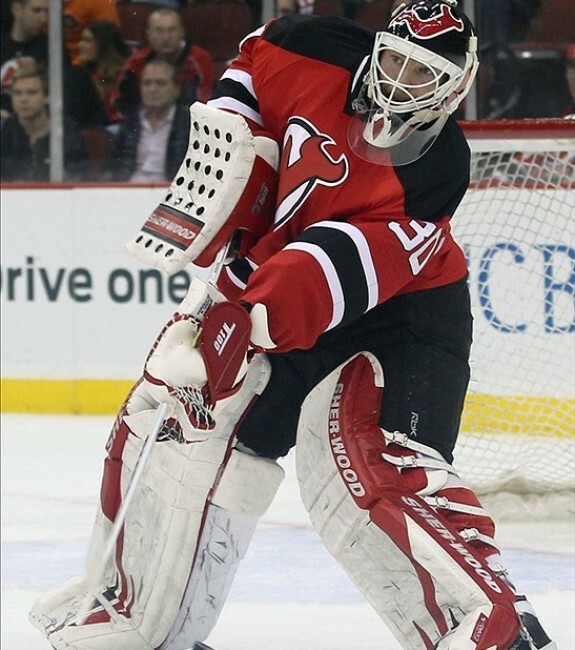 Brodeur was a three-time Stanley Cup champion and almost led the Devils to a title as a rookie and a 40-year-old. Brodeur still has more wins than a handful of franchises and his puck handling play forced the NHL to instituted the trapezoid behind the cage. A nine-time All-Star, Brodeur won the Calder Memorial Trophy in 1993-94, five William M. Jennings trophies and four Vezina trophies. 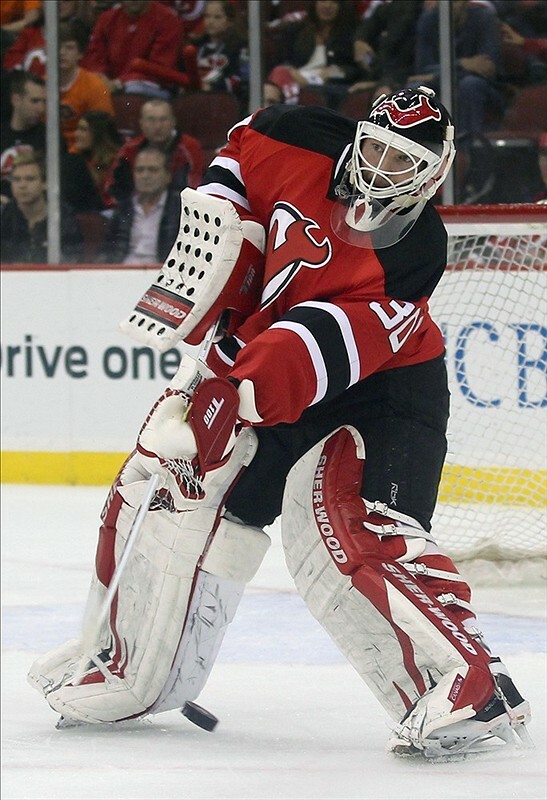 Brodeur led the league in games played six-times, wins nine-times, goals against average once and shutouts five-times. During the Stanley Cup Playoffs, Brodeur has 113 victories and 24 shutouts, including a record of seven set in 2003. In Devils franchise history, Brodeur is first in games (1,259), wins (688) and shutouts (124). When eligible, Brodeur will be a member of the Hockey Hall of Fame.